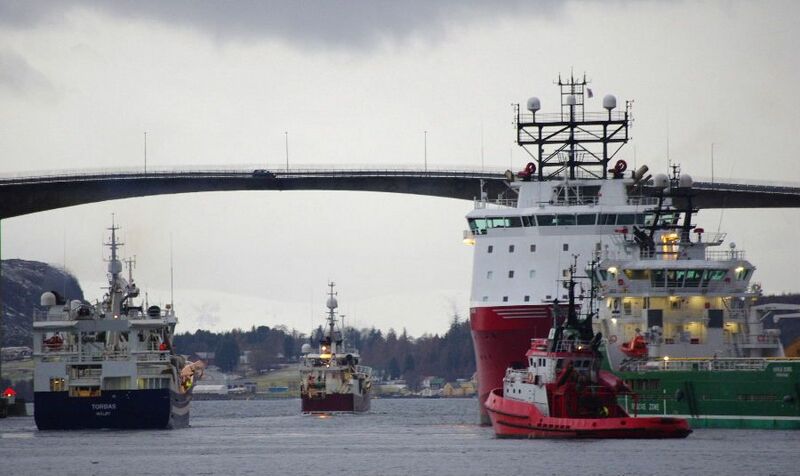 A couple of fishing vessels went out this afternoon from Kristiansund. UK 170 En Avant arrives in Den helder. 7 -ST-4-529-93 fisshing in Santander harbour. Last edited by Jack Mulder; February 8th, 2011, 18:55. Yesterdays catch, not the best of conditions! Well known boat from Aalesund. If Kjell Inge Rokke is looking in here he probably recognize his first ship at sea. HD 17 and happy fishermen. What a surprise in this thread, where the pictures are mostly similar! The crew onboard is working with the fishing net on the trip east to fish for capelin in the Barents sea this afternoon. Libas in Bodø this morning, quite interesting lighting! "Smaragd" on her way south to Maløy with 1600 tonnes of capelin earlier this morning. Tromsø island is bathed in sunshine, but "Smaragd" sails on the shadow side of the strait. Any details on this one?? UK 190 Hoop Op Zegen leaving Den Helder. She was rebuilt back in 1996,not quite sure what was done back then. "Østerbris" heading north this afternoon to catch capelin.